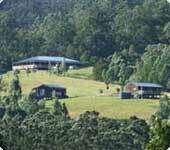 “Country Living at its Best” Abundant 100 acre space with serene backdrop of the famous Barrington Tops National Park, where the beauty of the outdoors is a way of life for those fortunate to call Fosterton Lodge Retreat Home! This 5 bedroom home is set in a tranquil location, blessed with streaming natural light, versatile family living in a sanctuary-like setting, effortlessly accommodating the growing family. Matthew Cherry (pictured) a trainee territory sales manager with Elders at Dubbo, NSW, is the 2008 University of Illinois scholar. He competed against representatives from all states in the national final at Tamworth which involved assessing live cattle and carcases. Japan suspended imports from a National Beef plant (California, US) on 24 April, following the discovery of Specified Risk Material (SRM) in one of 700 boxes at a Yoshinoya gyudon (beef rice bowl) processing factory in Tokyo. It’s taken 520,000 beef tasting samples by 75,640 consumers in six different countries, but now Meat Standards Australia (MSA) is ready to be taken to the world. Up until now the MSA program was only ever used in Australia, but under a new name — Eating Quality Assured (EQA) — it will be used to deliver an eating quality assurance for Australian beef brands sold in key overseas markets. Booragul Angus - This years annual draft of sale bulls offers a unique opportunity to purchase some different angus genetics. 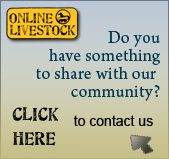 The feature of the sale will be 8 sons of Hyline Right Way 781, and 11 sons of Forres Nebraska Y163. Both these sires offer a different outcross pedigree to the commonly used Future Direction bloodlines. Alpacas & You - The Hawkesbury/Blue Mountains region of the Australian Alpaca Association invites you to attend a weekend of information on alpacas to be held at Hawkesbury Racecourse, Clarendon NSW. This introductory two day seminar has been developed to give people considering entering the industry the necessary information to decide whether alpacas are right for them. Dorper Sheep Society Of Australia - The breed was developed in South Africa in the 1930's by crossing Blackhead Persian ewes with a Dorset Horn ram. They were bred to produce a high quality carcass under extensive conditions. The Blackhead Persian was selected for its non-selective grazing, coat shedding, hardiness and good mothering abilities. The Dorset Horn was selected for its rapid growth rates and carcass attributes.